CalgaryStampede.com - "That pounding of hooves and trembling of the ground can mean only one thing; the world’s premier chuckwagon event, the GMC Rangeland Derby, has begun! During nine nightly heats, featuring a new Semi-Final Saturday, you’ll witness all the heart-stopping action as 36 drivers, 288 horses and their teams of outriders vie for over $1.15 million in prize money! During the Stampede, the races start nightly at 8 pm." The Veteran voices of Professional Chuckwagon racing, Dan Butler and Billy Melville will have the call and analysis of the races! 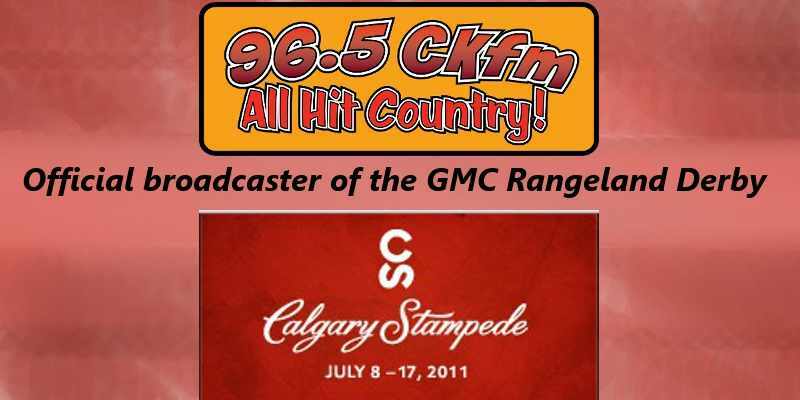 96.5 CKFM, Proud to be the official broadcaster of the GMC Rangleland Derby!